Thinking about buying a home in the future? Stay with us for 12 months and earn a cash rebate up to $4,500! 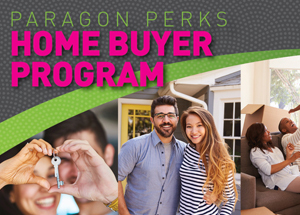 Paragon Properties also allows you to buy out of your initial lease after it expires, or go month to month, which makes house hunting even easier. Ask the office staff for me details. Attention College Students! 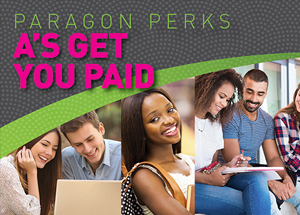 Paragon Properties pays you for your good grades! 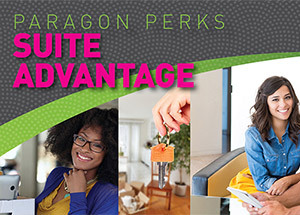 We will pay you $25 for every A you earn after your 1st 12 month lease. All Full Time College and University Students qualify for this savings. Ask the office staff for more details. 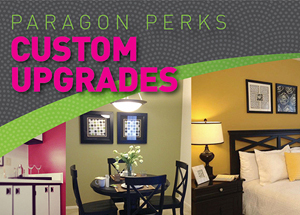 Paragon Properties has created a Custom Apartment Upgrade program which offers a variety of options that can be added at time of new lease or lease renewal. This unique program gives residents the opportunity to make their new apartment, truly their new home. Residents who rescue a pet from the Michigan Humane Society or one of its approved partners will qualify for special savings. Residents who provide the appropriate documentation will have the initial pet fee of $200 waived at move-in. Rescued pets must still comply with the Pet Agreement guidelines set for weight and/or aggressive breed restrictions. 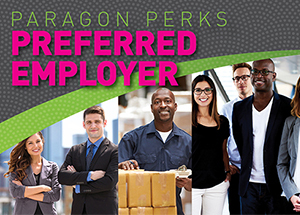 Preferred Employers are able to offer their employees added “perks” through the Paragon Preferred Employer program! 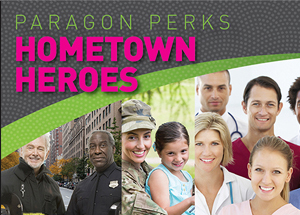 Your employees will enjoy substantial savings and exclusive discounts at our communities. If you are an employer interested in learning more about how you can become a Paragon Preferred Employer, contact any of our locations to day and speak to our friendly and professional staff. From time to time residents may elect to transfer apartments due to a variety of reasons. Often residents seek out new housing within the Paragon family of properties. As an incentive to retain residents within the Paragon portfolio of properties, Paragon offers special consideration for residents who transfer at their current community, or to another Paragon-managed property. Paragon’s Suite Advantage program was designed to fill the occasional demand for short-term or long-term furnished apartments. Through a partnership with CORT Furniture Rental, residents can choose a variety of furniture or housewares packages and pair that with a short-term or long-term lease. 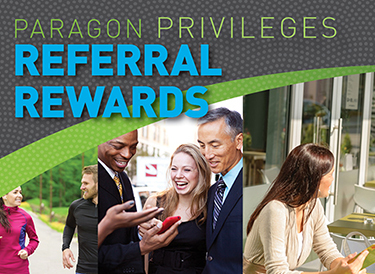 We LOVE our residents that LOVE to refer! 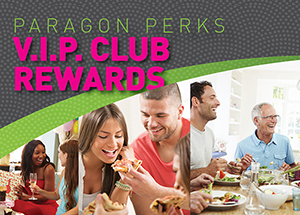 Giving them VIP status and appreciating each referral, we have developed a program that residents are THRILLED about. We are happy to give the details! Earn up to $1400 annually. 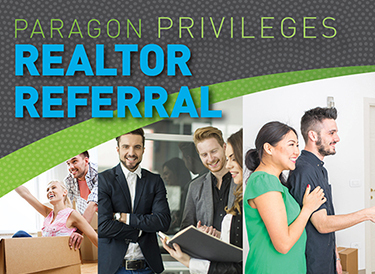 As a realtor, refer a client to live at one of our communities and receive $400 when they sign a 12-month lease. 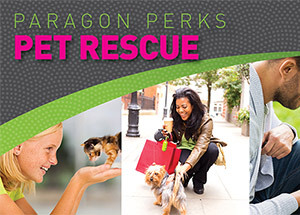 Earn extra cash when you refer someone to live at one of our communities! 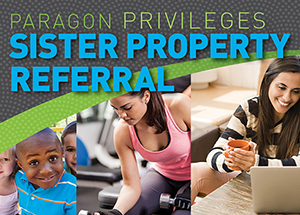 Stop by one of our communities to pick up your Referral Rewards cards today and start passing them out to your friends, family, co-workers. As a non-resident, you will receive $100 when someone you refer signs a 12-month lease. A change of address doesn’t mean you have to give up everything you love about Paragon Properties. We have a host of locations in Michigan and Indiana – in the communities where you to live! Leave the snow removal, lawn care and maintenance worries behind. Come see how much fun it is to Live Apartment Style at Paragon Properties. We offer exciting and challenging career opportunities for talented people seeking growth and commitment. We offer an outstanding benefits package including 401K, medical, dental, optical insurance, bonus program, rent discounts, exceptional training programs and numerous opportunities for advancement. Visit the careers tab on our website for a listing of opportunities or ask for more details at our leasing offices. I have lived here 22 years. Problems are resolved quickly and with courtesy. Rent is manageable on a fixed income. Maintenance works diligently to keep the premises clean and looking nice. Snow is cleared promptly.